If you have been waiting for a time to sell your Toyota truck when it will be simple and stress free, now is that time. Especially if you live in Brisbane, Gold Coast, Sunshine Coast and the rest of Queensland. Because we are QLD Wreckers and we buy trucks that can be classified as an auto wrecking company. It is important to us that each person alive in Qld has an effective way to sell a truck that no longer has any use. This could be due to blown transmission, or due to being written off. We don’t care, as we will happily take it back to our salvage yard for wrecking. We pay so much cash for trucks that the maximum is $15’000, which will depend on how bad or good its condition is. In brief, Qld Wreckers are your primary source of paying top cash for Toyota including free pickup across Qld. Here at QLD Wreckers, we have an inclusive attitude towards the Toyota truck community. Each and every model of Toyota truck is welcome to our salvage yards for wrecking. This ensures that every single Toyota truck owner will have the means of securing our services. And we have the best services. We have the most efficient services. And everyone deserves the best. That is why we buy all the different models. Some may think that selling a used truck is harder when it is in bad condition. They would be thinking correctly. This is due to the fact that when doing so via the normal conduits, such as the private market, will mean that certain people will be looking at your car. And they won’t want it. We are not the private market. Qld Wreckers is a scrap truck buying company. We buy 4×4 trucks that are in the worst condition. There will be no car rejection when offering automobiles to us. Instead there will be only acceptance. 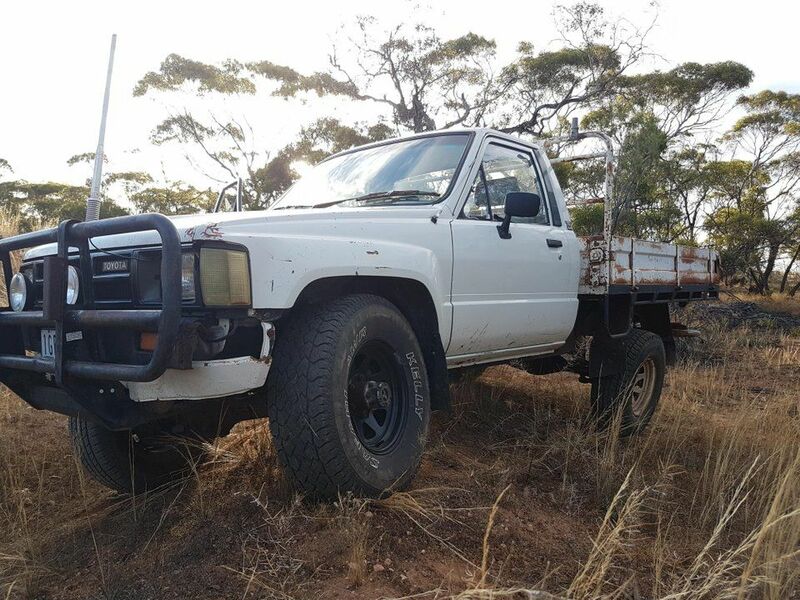 We buy Toyota trucks even it’s your personal, used in commercial or work truck Ute or SUV. For the used commercial trucks in decent condition, we are more than happy to visit your location and give you the price estimation on the spot. If you are happy with the price, we transfer the money in the bank and pick up your truck same day. Maybe you are typing “towing company” into google right now, thinking that you will need their services. Or perhaps you are expecting us to be paying you a bit less than the vehicle is worth in order to make you pay for the removal process. Neither of these scenarios in any way reflects the reality of selling a vehicle to us. Instead, we make sure to come over with our own automobile removal vehicles. Then we use this equipment in order to provide you with top of the line removal services. Your Toyota truck will be off your lawn, and in its place will be cash. Being a Brisbane’s #1 Wrecker of Scrap Trucks, we cover the entire north side of Brisbane, Yatala, Toowoomba, Beenleigh, Coopers Plains and Salisbury regions. All you need to do after contacting us is tell us everything that we want to know about the truck in question. Call 0416 615 100 or find the form (get a Quote) on our website. You will have a free quote in no time!